Ready to get your geek on? 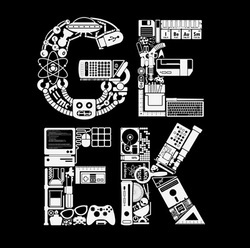 Welcome to Geek Central, THE place to "get your geek on". The term "geek" means different things to different people. To us it is someone that doesn't just have a hobby, but a passion about something. There are Home Theater Geeks, Movie Geeks, Video Game Geeks, and much much more! Automotive Geeks are usually called "Gearheads" or "Petrolheads", depending where you are from. Oh, and of course there are Computer Geeks. Take a look around, you might find something you are completely geeky about. New content will be added frequently. If you have any suggestions - or want to help us geek out - contact us.